We begin by knowing the right people. 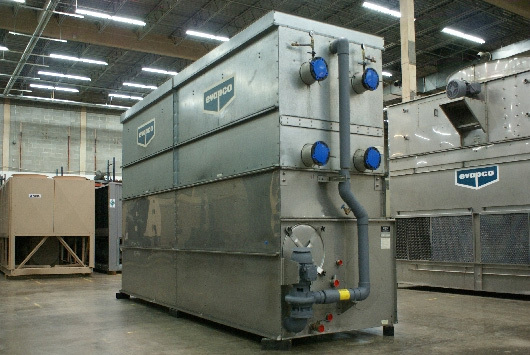 We at Surplus Group make most of our acquisitions of new surplus and used chillers through our Group of established contacts who have strong links to most major industries and institutions across North America. Through our Group we learn about the latest surplus equipment opportunities arising from plant and school closures, cancelled projects, etc. 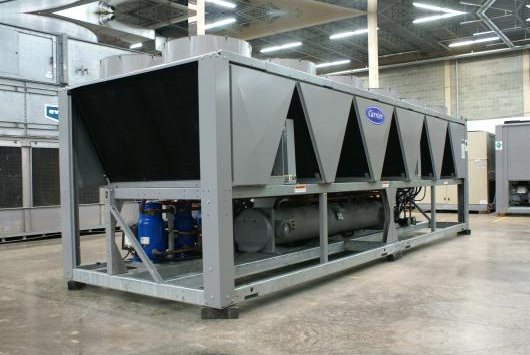 From these opportunities we cautiously cherry-pick the very best new surplus and used chillers, cooling towers, rooftop units, air handlers, and HVAC equipment. The rejected items are sent on to other associates to be scrapped. All equipment reported to us is subject to a background check – the first phase of our verification process. We examine the regularity and source of the service records, if available. At our highly specialized Surplus Group facility in Dallas, we have the people, resources and processes in place to ensure all equipment meets our “Surplus at its best” Standard of condition and value. Our in-house verification process now goes deeper into the details of condition. Equipment that fails verification (as sometimes happens) we scrap for the best parts and then move on. Full run-testing protocol answers the unknowns of mechanical condition. When we discover deficiencies we repair. We also make sure the equipment’s appearance is up to Standard. After all, there’s no reason equipment that has been used needs to look used. Comprehensive close-up photography enables our buyers to assess the condition and configuration of the equipment in detail. Final Certification inspection ensures all aspects of the Surplus Group Standard are met. Equipment is now ready to go. We want you to enjoy a high comfort, uncomplicated buying experience where you have as much information as possible to help you choose confidently from Surplus Group’s Certified inventory. The Long Distance, Close-Up Inspection. Far more than just simple equipment listings, the Surplus Group website is an information-rich, detailed presentation of the largest inventory of its type in North America. It is where customers from anywhere in the world can go to search, select and inspect before their purchase. An easy to navigate site that lets you surf quickly through the inventory. Comprehensive close-up images of every machine, from all angles. Complete specifications for each item. Access to our on-line library of manufacturers equipment manuals, the most complete in the industry. Let’s both make a last test. Once selection is made and your order is placed, we conduct a pre-delivery verification test-run. This is your conformation it is in fact ready to go, and for us confirmation the equipment is unchanged from previous testing. We offer 3 ways for you to witness the test-run and once you are satisfied we are ready to ship. Choose Your Test Verification Option. You can verify the test-run by video: We make an archive video of the test-run for you to access online. This is by the way is the most frequent choice. You can send a technician. Arrange a third party expert to come to the Surplus Group’s Dallas facility and participate in the testing. You can come yourself. Visit our facility personally for a first-hand final inspection and test run. Our Shipping Has A Standard Too. One last thing. The careful organization and overseeing of the shipping process is essential to ensuring the equipment’s condition is maintained right up to your delivery. It’s all in the details. We organize economical shipping from companies of known quality. We prepare the equipment for maximum protection, boarding up the exposed coils, etc. We smooth load equipment onto the flat bed with our bridge-crane. We ensure all tarps are tied down thoroughly. We organize container loading if you are an international purchaser. 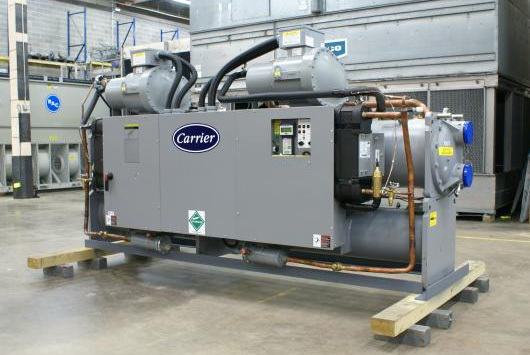 Our used chillers are safe, secure and ready-to-go. 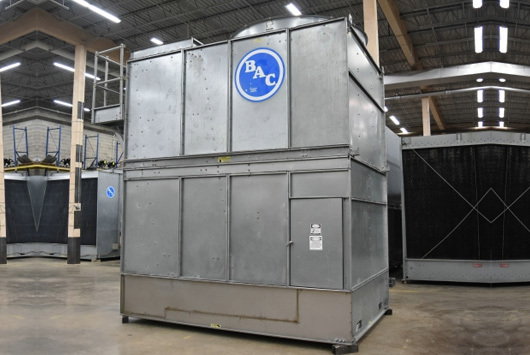 All of our inventory goes through a rigorous testing process to ensure your used chiller runs properly when it arrives at your location.